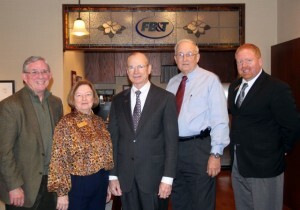 Farmers Bank and Trust of Magnolia recently donated $250,000 for the Farmers Bank Reception Center at Story Arena. Pictured from left, are Farmers Bank President Steve Keith, Executive Director of the SAU Foundation Jeanie Bismark, SAU President Dr. David Rankin, Farmers Bank Chairman and CEO Bob Burns, and SAU Director of Major Gifts Josh Kee. 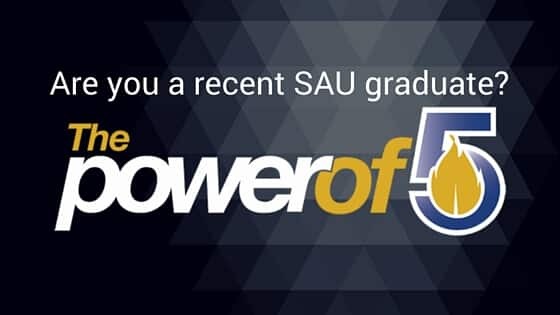 Farmers Bank and Trust, a supporter of SAU since the University’s beginning in 1909, recently committed $250,000 to the reception facility at Southern Arkansas University’s Story Arena. 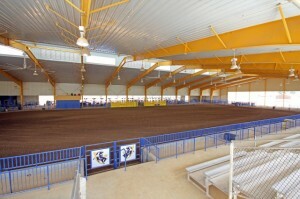 The Farmers Bank Reception Center and Story Arena will welcome around 15 universities and guests to its first official rodeo event at 7 p.m. nightly this Thursday through Saturday, March 13-15, 2014. Admission prices are as follows: $10 for adults, children 5-12 are $5, and free admission for children 0-4 and SAU students, faculty and staff. The nearly 6,800 square-foot Farmers Bank Arena Reception Center will house functions that are necessary when hosting public events and will be the “front door” for the rodeo arena. Among its features, it will house the ticket booth, concession stand, men’s and women’s restrooms, a grilling porch, a covered concourse and large plaza, covered walkways to the arena, an outdoor fireplace, an office area, a conference room and a tribute to Farmers Bank’s century of support for SAU. 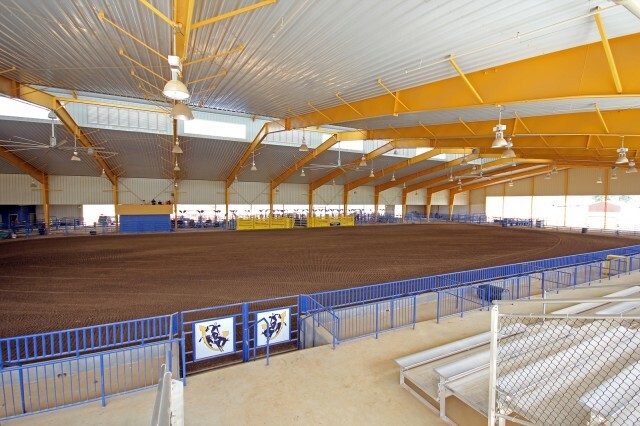 The main structure will consist of a nearly 80,000 square foot covered rodeo-style arena with a dirt floor and seating for approximately 1,100. 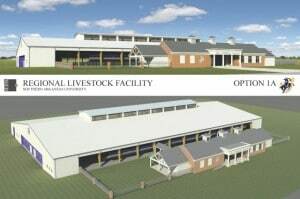 It will provide a place for local and regional groups to hold equine and livestock events, concerts, trade shows, and other community events. Participants at these events will bring money into the local economy by eating in restaurants, shopping in local stores, and staying in local hotels.